For the D&D bard, the LARPer, the fantasy lover, the musically inclined geek, or all of the above, these pins would decorate anyone's belongings with style! "AND MY AXE" - the axe meets guitar! 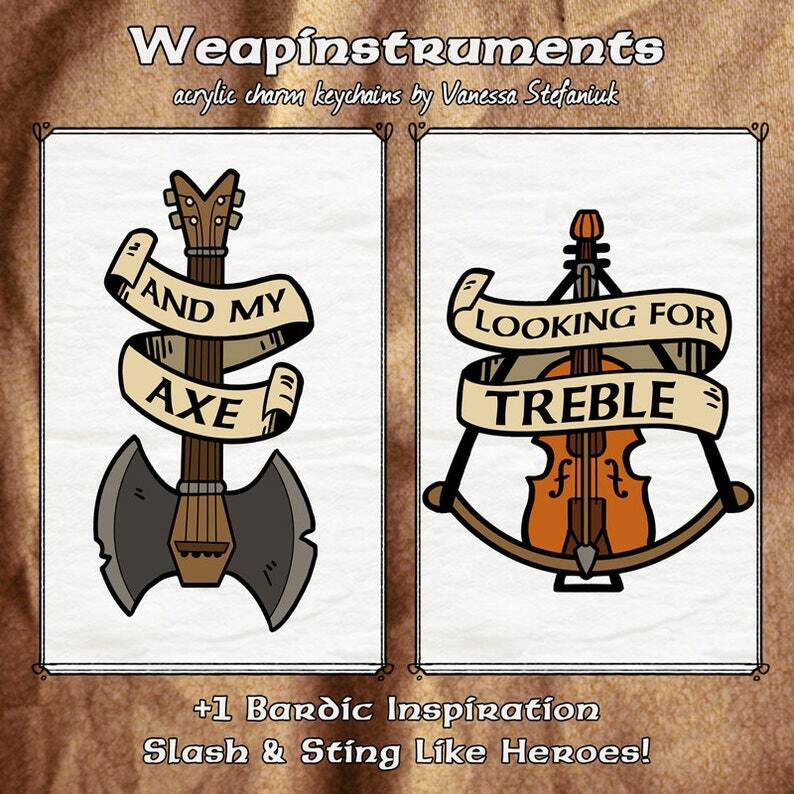 "LOOKING FOR TREBLE" - a crossbow violin would make for a very efficient bardic weapon!